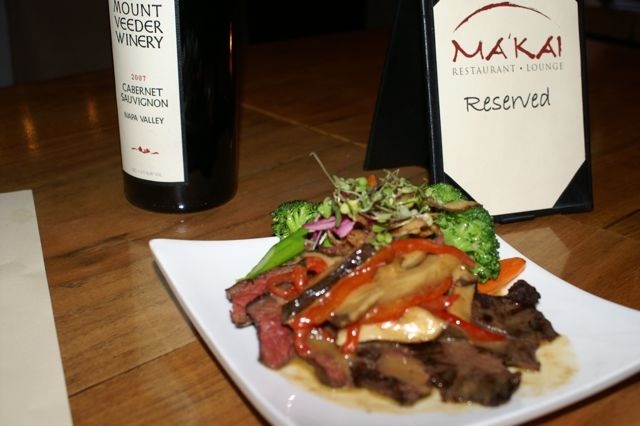 MA’KAI Restaurant & Lounge: A beach dining experience in a hot club atmosphere. 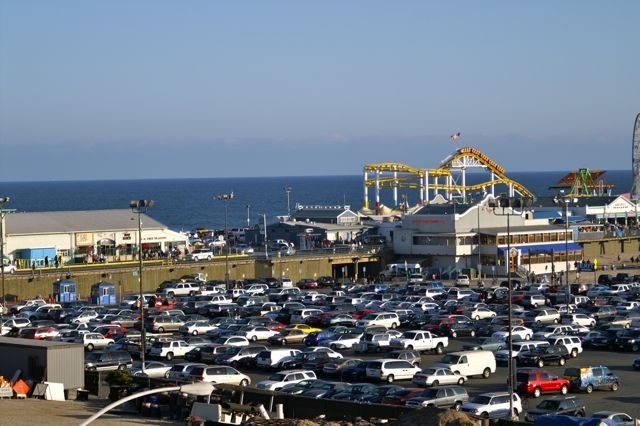 Who doesn’t love stopping by the nostalgic Santa Monica Pier on their way to dinner? There is always time for a quick ride on the rollercoaster at Pacific Park! Isn’t she a beaut? 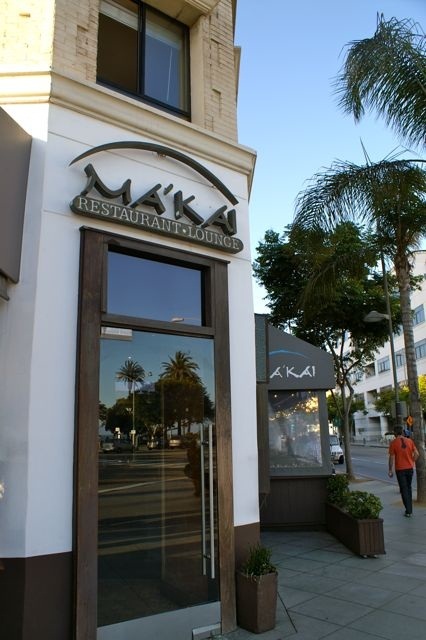 Perfecly placed on the corner of Ocean Blvd & Broadway, MA’KAI stands out amongst the restaurant & night life in Santa Monica. A love for the beach & a fun time is required upon entrance. MA’KAI’s outdoor heated patio faces the Pacific Ocean & Ocean Blvd., prime location for people watching while enjoying a signature Ma’kai cocktail & appetizer. As the sunsets over the sparkling ocean & Malibu, that marks the perfect time to let the signature cocktails to start flowing! 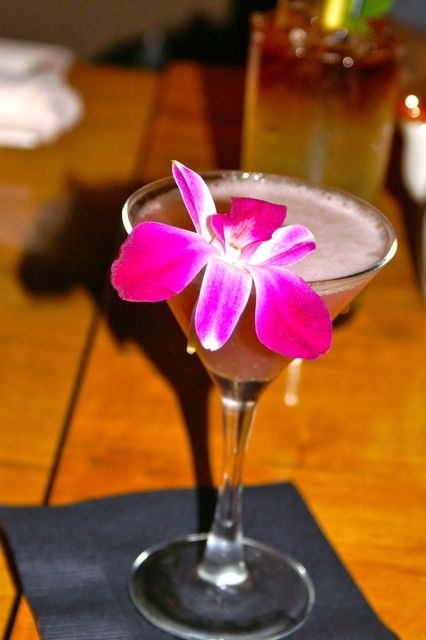 The signature house cocktail, the MA’KAI Kiss awakened my palette! Flavors of lychee, light bubbly champagne & framboise danced on my tongue. Pretty sure the gates of heaven opened up & the Angels sang, I am in love with this cocktail! Perfect way to cut the sweetness from my cocktail was the Spicy Tuna & Crispy Rice appetizer. 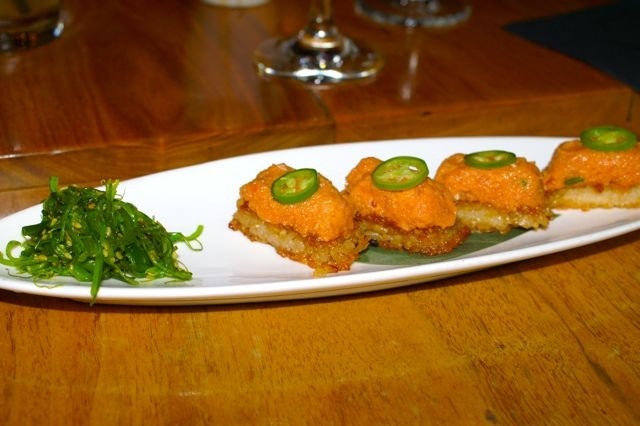 Jalapeno & creamy spicy tuna are layered a top a little bed of crispy rice. *POW* an explosition of flavor in mouth and visions of comic book words danced in my head. Saki time! No it’s not in the glass, it’s actually on my fish. 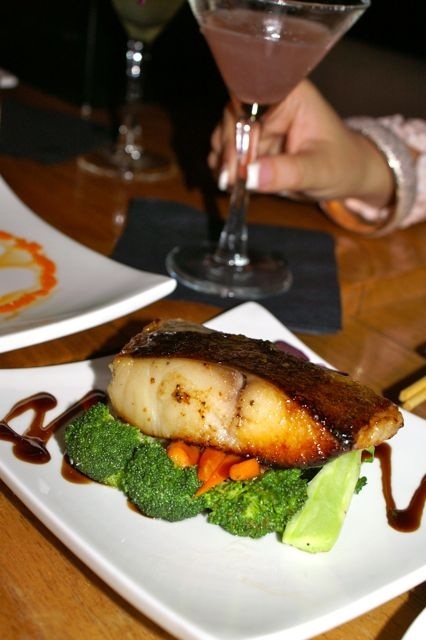 Miso glazed black cod marinated in organic miso & saki served w/fresh crisp seasonal veggies and eel sauce. Perfectly cooked, the outside is sweet & lightly crisp, flavors of heaven are present in this dish! KOBEEEE!!! I mean, Kobe beef skirt steak of course! A slam dunk of tender melt in your mouth steak, white wine reduction sauce & fresh crispy veggies scored high w/me, game over! New Zealand Lamb Chops-Moist, juicy & seasoned to perfection. Love the unique flavor of the edamme hummus! 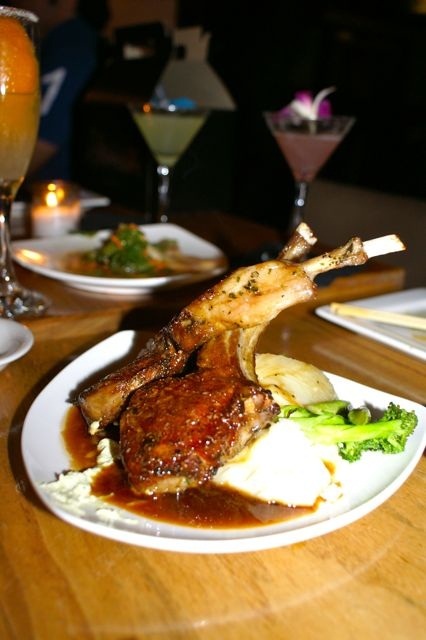 Perfect bite: lamb chop, creamy mashed potatoes, fennel, hummus. 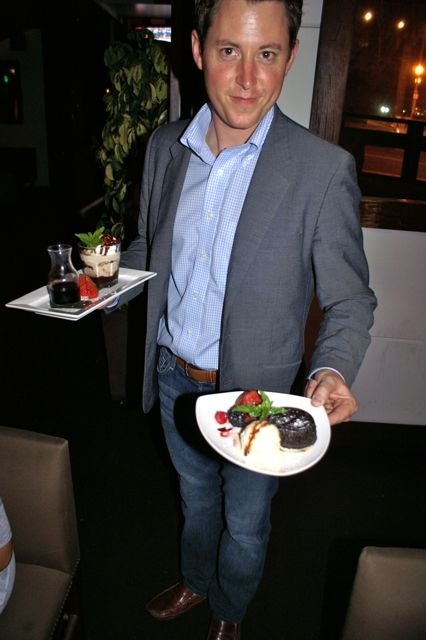 Mike GM of MA’KAI, serves up desserts in style! 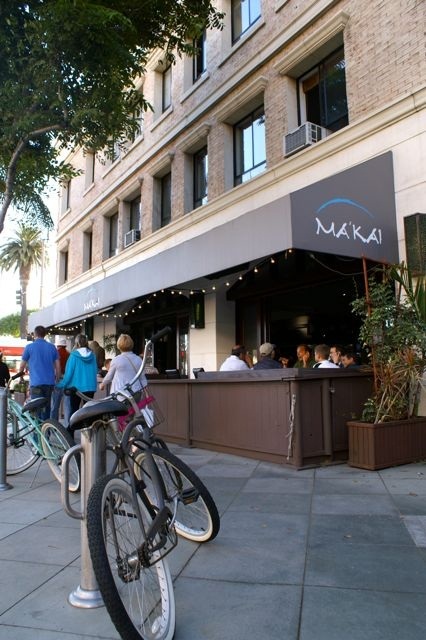 MA’KAI in my opinion is home of the best lava cake in LA (right). Warm chocolate lava cake is served with, vanilla bean ice cream, chocolate syrup, fresh berries, and a sprinkling of addictive ingredient, I mean powdered sugar! The Kona Coffee Sundae is a perfect lighter way to end your meal (left). Simple & to the point, vanilla bean ice cream, freshly brewed kona coffee, fruit & chocolate syrup. Hey Mr. DJ! The night life at MA’KAI is unreal! 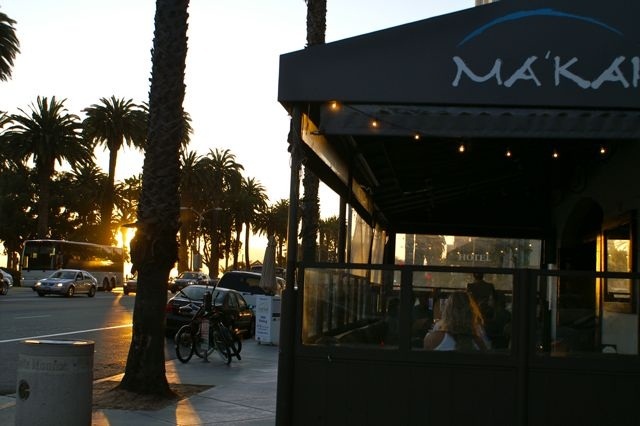 You have to come for sunset happy hour & watch the full transition from day to night. 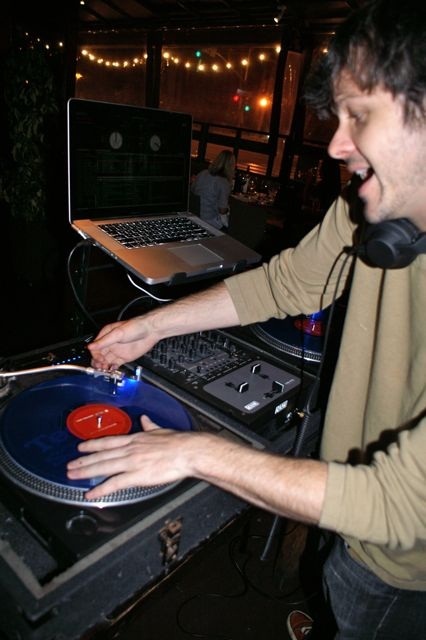 DJs are spinning every night of the week, check out their DJ schedule online. 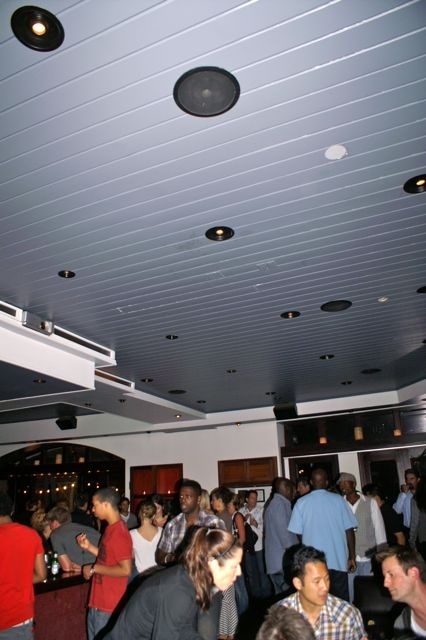 World renowned DJ Splyce spins every Thursday night! A special thanks to GM of MA’KAI Mike for being an amazing host and showing us all of the amazing dishes, drinks, desserts & nightlife MA’KAI has to offer!